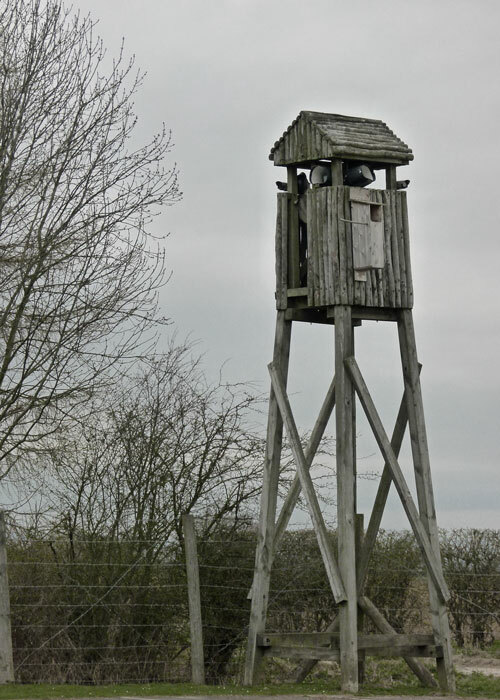 In 1942, someone at the War Office decided they needed a prisoner of war camp just outside Malton, in North Yorkshire. (“I say, Carruthers, we really could do with a nice new prison camp. Any ideas?” “I know just the place, sir…”). 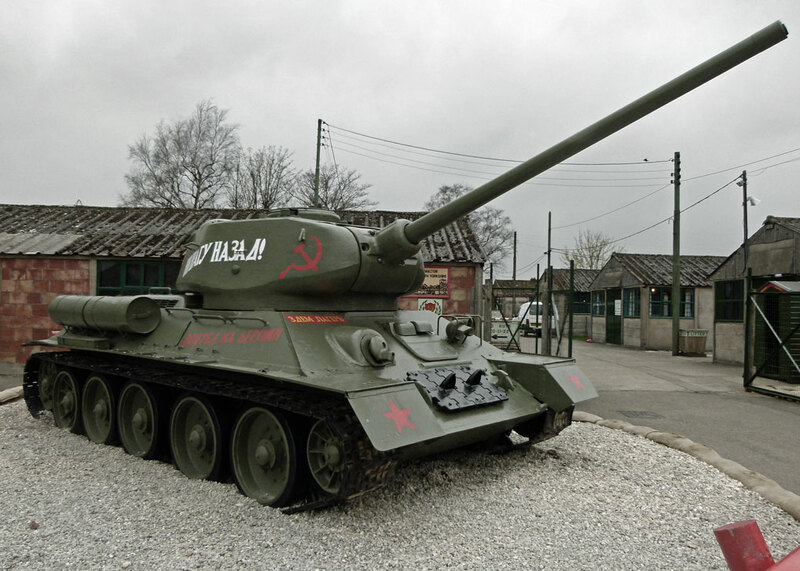 It is now a museum, almost exclusively dedicated to the Second World War. Overhearing some careless talk in a railway carriage, we had an idea of what to expect: something a little homespun, perhaps; a kind of make-do-and-mend mixture of torn sepia photographs, uniformed tailors’ dummies, a mish-mash of nostalgic collectables and rusting weaponry. I was glad to discover that, in some respects, it did not disappoint. Eden Camp is an unusual place, exceptionally well laid out, absolutely fascinating, full of ‘stuff’ and extremely good value. To do it justice, you need at least half a day; but it’s one of those places you could go back to and get something different out of each time. Eden Camp was initially home to a contingent of Italian POWs, who helped construct the place. They were replaced by Polish troops, billeted there presumably because some sensitive soul decided that our allies needed the unparalleled luxury of a prison camp ahead of the unpleasantness they would face during the invasion of Western Europe. After that, it housed German POWs until 1949. Since then, it was used to hold displaced persons, as a holiday camp (I bet THAT was a blast – an unforgettable annual break for the whole family), storage facility and workshop complex. A local businessman, Stan Johnson, bought the site in 1985 and was given the idea for a museum when Italian ex-POWs turned up wanting to see where they had been incarcerated forty years previously. 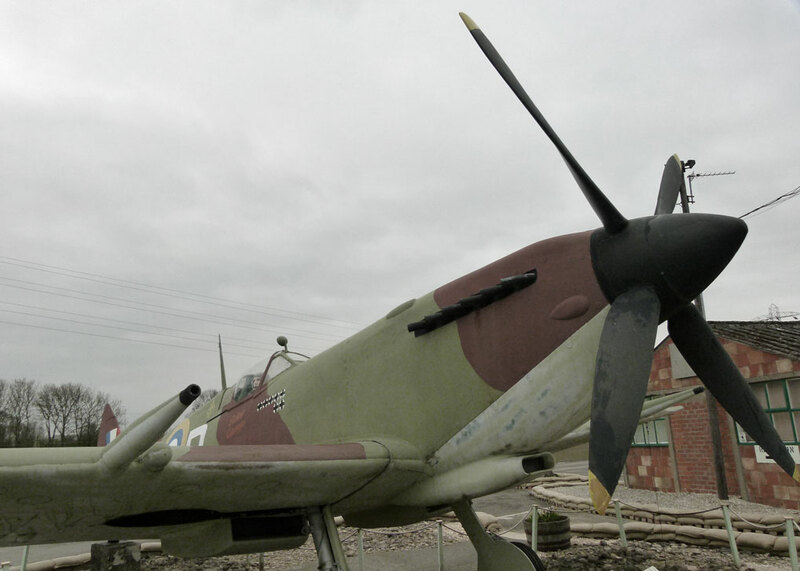 What confronts you on arrival at Eden Camp is a tableau of large military exhibits – including full-scale replicas of Hawker Hurricane and Supermarine Spitfire fighter aircraft. Once through the wire and inside the compound, the museum consists of 30-odd huts that were part of the POW camp. 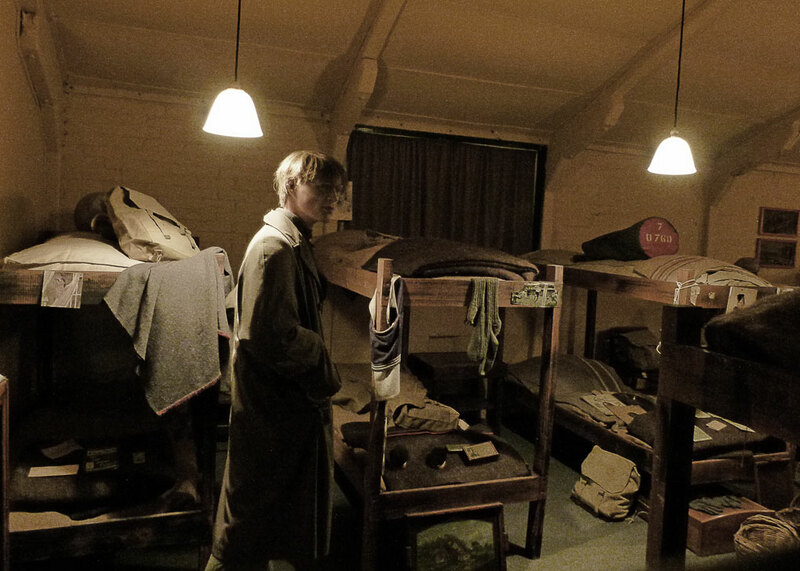 Each hut has a different theme, such as ‘the Home Front’, ‘Bomber Ops’ and ‘Women at War’. There is even an Eden Camp Music Hall. The exhibits in the huts are a mixture of printed material, display items and full-size reconstructions. Invariably, they are enhanced with sound effects. Some of the reconstructions, like the Bomber Command Ops Room and the POW hut, are very convincing. Other reconstructions, such as ‘the U-Boat Menace’, complete with drowned mannequins (I hope that’s what they were) are ambitious but, quite frankly, a little amateurish. However, therein lies part of Eden Camp’s charm. To my delight (and Mrs Britain’s astonishment) the hours I spent as a kid gluing my fingers together making plastic Airfix models finally paid off in one of the huts; when it comes to aircraft recognition, a chap should know his Heinkel from his Wellington. Indeed, there was just something about Eden Camp that tickled me. I simply couldn’t help conjuring up images and catchphrases from dozens of old films from the 1950s and ‘60s whose underlying stories were deadly serious, but whose presentation and familiarity can be clichéd and the cause of hilarity now. Not for me on this occasion the historical documentary style of films like ‘The Longest Day’, or the gritty realism of ‘Saving Private Ryan’; no, I went round humming “Lili Marlene” and “Don’t Let’s Be Beastly to the Germans”, expecting to see John Mills, Richard Attenborough, Celia Johnson and Sylvia Sims in monochrome at every corner. Steady; steady; right a bit…oh, I say! Heppy, dahling? 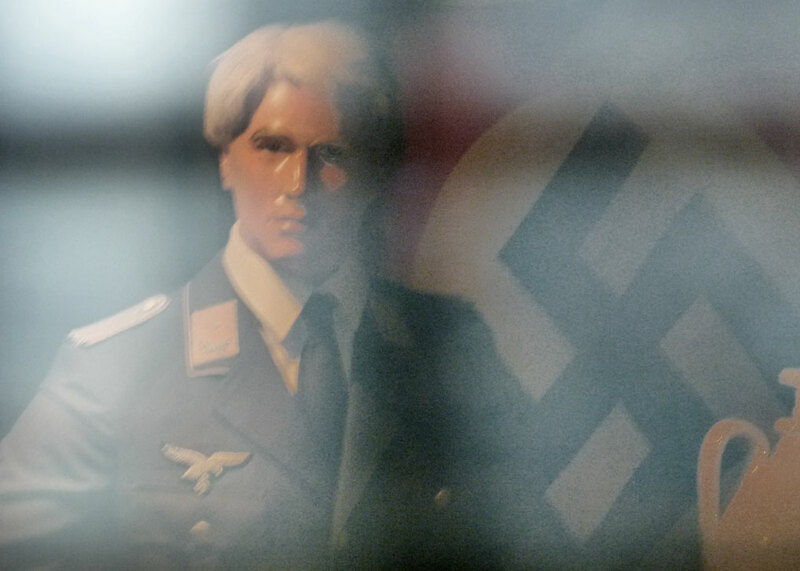 Part of the reason for this curious state of mind might be that Eden Camp gives a feeling of being in a bit of a time-warp. This is no glitzy show-case national museum with millions of pounds behind it – it seems, as we have already suggested, a little flaky in places. Several of the huts had electrical faults when we were there, but this kind of added to its allure. I half expected someone to yell, “Put that light out!” – or perhaps hear a whispered rumour that the problem was something to do with the fictitious Ministry of Aggravation and Mysteries from the popular wartime radio programme ‘ITMA’ (‘It’s That Man Again’). The folk behind Eden Camp have undoubtedly been to a heck of a lot of trouble. And what they have created is unique. The place is brimming with atmosphere and information. There is an enormous amount of original source material and compelling personal accounts on display. In the POW hut, for example, it was fascinating to discover that several of the German inmates, who had been working on local farms toward the end of their stay, decided to remain in Britain rather than go home. There is also an account of Oberleutnant Franz von Werra, ‘the one that got away’, made into a 1957 film starring Hardy Kruger. Von Werra was a pilot captured in 1940 who, after several unsuccessful escape attempts in England, managed to evade his captors in Canada in 1941 and make his way home via the then neutral USA. 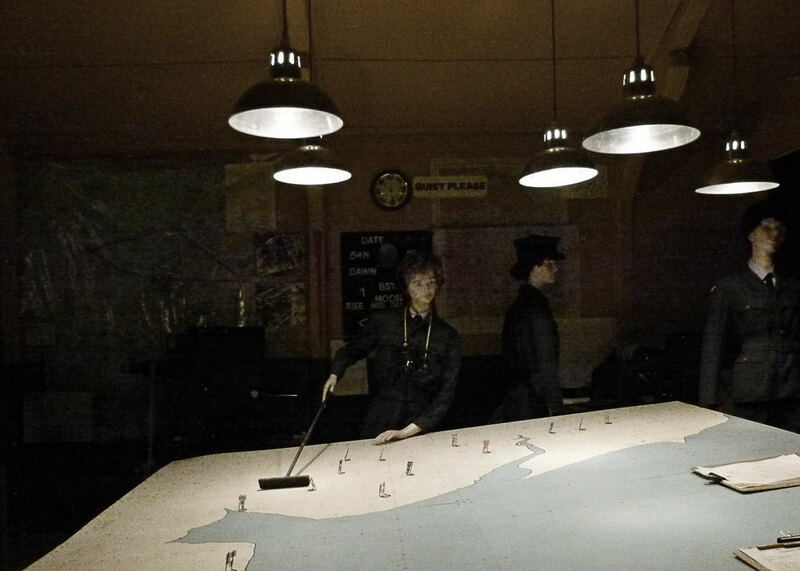 Inevitably, however, some of the information provided in Eden Camp is highly distressing. Though concentrating on ‘the people’s war’ of 1939-45, there is also material on post-war conflicts, and the First World War gets an impressive hut all to itself. The museum seems to be gathering a notable collection of individuals’ medals too. And they host events for veterans, which definitely puts them on the side of the angels in my view. One possible downside to Eden Camp is that it might be the sort of place that attracts people (other than serving members of the forces and veterans) who like to dress in military uniforms just for the fun of it; we certainly spotted a couple as we walked round. Another drawback is that the screams from the junior assault course (aged 2 to 12 years only) actually drowned out the air raid sirens and occasional explosion from elsewhere in the complex. 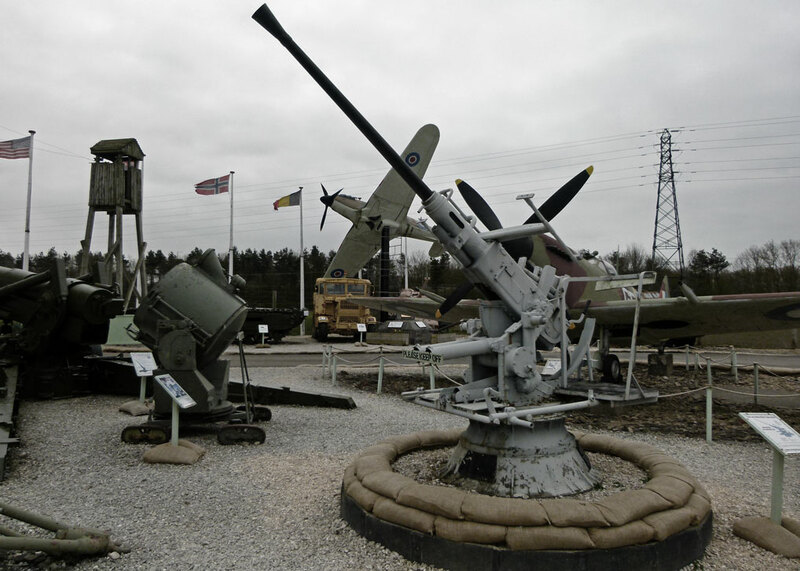 These minor considerations aside, Eden Camp is a ‘must do’ for anyone with half an interest in the Second World War, who grew up in its aftermath (as to an extent we all have), or who even experienced it first-hand. I would happily go back to Eden Camp. In fact, I’m sure we’ll meet again. Hopefully, on some sunny day, because it was cold enough to freeze the ASDICS off a corvette when we went. Take something warm with you – don’t forget, “coughs and sneezes spread diseases”. I got a giggle from the name they chose, Eden, which, as you know, has connotations of paradise. But, then, the British wouldn’t do anything nasty in a camp such as this, now would they?! I’ve always felt I belonged in that wartime era, doing something spy-like for my country. Interesting piece, Mike. I’m not sure where the name came from – it’s not as though it’s from the local river or anything. Maybe that civil servant had a really good sense of humour. I think us Brits pretty much invented camps like this, but other people did them better. Very interesting read. I went back in July this year and although it was alright, i feel like it could have done with a little more updating and maybe a bit more professionalism, but maybe that is just me. This sounds like a fascinating place to visit! Sounds a very interesting visit and I appreciated your photo’s. Places have to appeal to all ages, so I can understand the assault course for the younger visitors who can be noisy at times! But then they are children! All in all it sounds a good place to visit … I may just wait for the warmer Spring months! I would enjoy touring this place as well. What a shame they’ve done away with Soup of the D-Day. Eden Camp is in the awkward position of half-way to where we visit. Too far for a day out from here and too time-consuming for a journey breaker on the way home. I’ve often thought about visiting. Maybe we should make more effort. It is now on my bucket list, thanks. 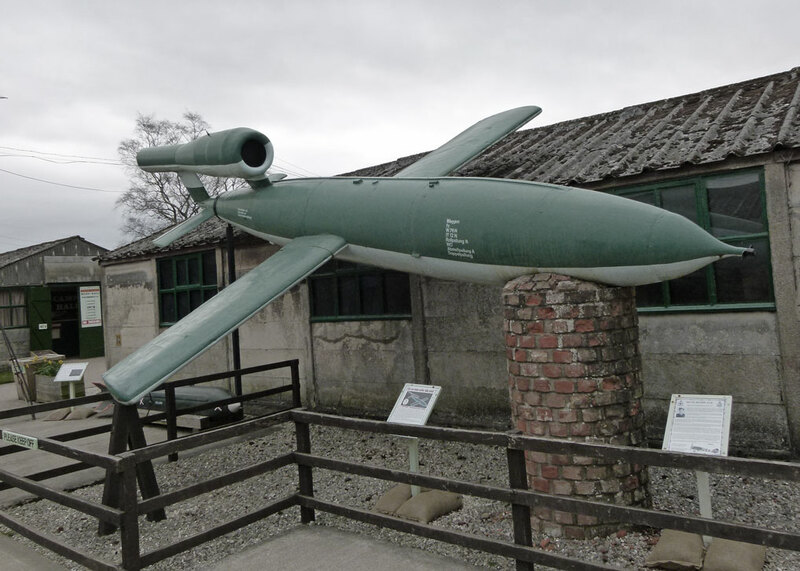 So far, all I knew about Eden Camp was what I saw in leaflets lying around at Ripon’s Tourist Information and at various accomodations throughout 16 years of regularly spending holidays in Yorkshire. I was never interested in visiting the place, but your description and photos really make a difference. As always a fun tour. Thank you, Mike! A fun read Mike! I think I would enjoy this museum.